It’s one thing to stay on top of trends, but the process of transformation is where many brands can get tripped up. Achieving a unified definition on ‘digital’ alone, has proven to be a great challenge among brand leaders. So we know the first step in digital marketing transformation will require that all leaders are on the same page in regards to what it is, what’s involved, who is responsible for which pieces and what the intended outcomes are. The process by which business leaders harness the capabilities and advances of emerging technologies to digitally reinvent their company’s operations, products, marketing, culture and goals for future growth. For every piece of the digital marketing puzzle, there is a system and a process from discovery to adoption and ignoring or trying to skirt through any part could cause serious harm to your brand reputation. eMarketer analyst, Jillian Ryan advises leaders to consider the grand vision and how to use existing technologies to reinvent themselves. The key to understanding digital marketing transformation, however, is in taking a customer-centric approach to meeting customer needs and expectations, as opposed to a fully competitor-centric approach. Paying attention to customer needs will provide great direction in developing marketing goals and understanding the technology required to achieve them. It’s important to integrate ways to meet customer expectations in every part of the sales and service process. Here are some digital trends and suggestions on evolving your brand to align with them. Get to know your customer intimately through online surveys or tracking shopping habits to deliver valuable content to them on a regular basis. Many retailers have a system that leads customers to an online survey or feedback form that might ask about their purchase that day and their product/service preferences and then later deliver a timely update via email newsletter on sales or promotions for their preferred products around the time that the customer will have to refill or repurchase that product. Service oriented businesses like hotels, might consider an email reminding their guest about the great trip they had last year and offer a promotion for advance booking around the same time this year. Show up where your customer is with laser targeted advertising. Traditional print or outdoor advertising casts a wide net and you are likely to capture a fairly significant amount of customers. Digital advertising, however, allows brands to be present wherever and whenever the customer browses online or on their mobile devices. Transformation in this area will require specialized consultants with a focus on SEO and paid search who will research and analyze metrics from your website and other statistics, to assure a seamless transition and a greater probability of hitting your targets. Build relationships with digital influencers through two-way communication and collaborations. Paying attention to and aligning with key players who have a strong online presence is the perfect way to leverage both your brands. Two-way communication requires that brands demonstrate their alignment with the influencer through strategic collaborations to develop photo and video content, but also engaging with and sharing their content as well, to create a more authentic relationship. Many influencer marketing initiatives fail because they are short-term and one sided, but a genuine relationship, especially if the influencer already uses the brand will go a long way. Develop an app that can facilitate the sales and service process on the customers mobile. Monitoring and tracking user habits from in-person interaction and your website will provide the direction on requirements for the app, but for the most part, brands need to think through the sales and service process and create an intuitive application that will meet and even exceed customer needs with things like check-ins and follow-ups and recording their feedback to assist with further development. Share stories using real-time photo and video of what’s going on in your company. Facebook, Instagram and Snapchat are leading the charge with the ability to record and share digital moments via stories. Twitter also offers the option to go live, but without all the fancy filters or photo capture capabilities. Either way, these social platforms give customers a chance to get closer and more intimate with your brand and the people who help manage it every day. 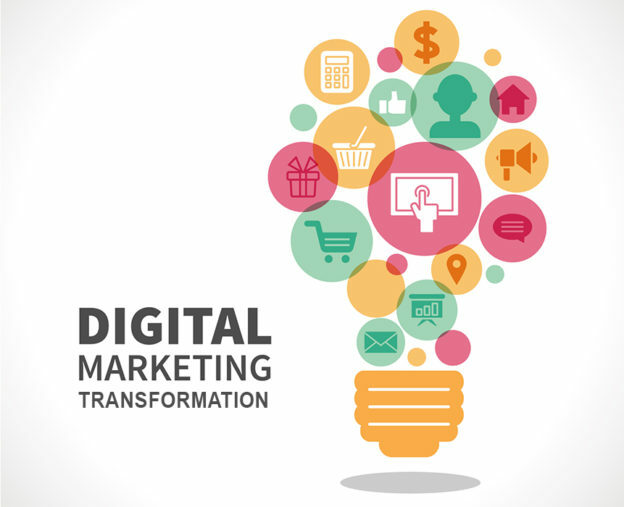 Of course, digital transformation will look different for most brands and some will be more challenging than others, but it’s worthwhile to evaluate the current state of your digital strategy while paying attention to trends and changes in your market to be able to stay afloat in our ever-changing business landscapes.